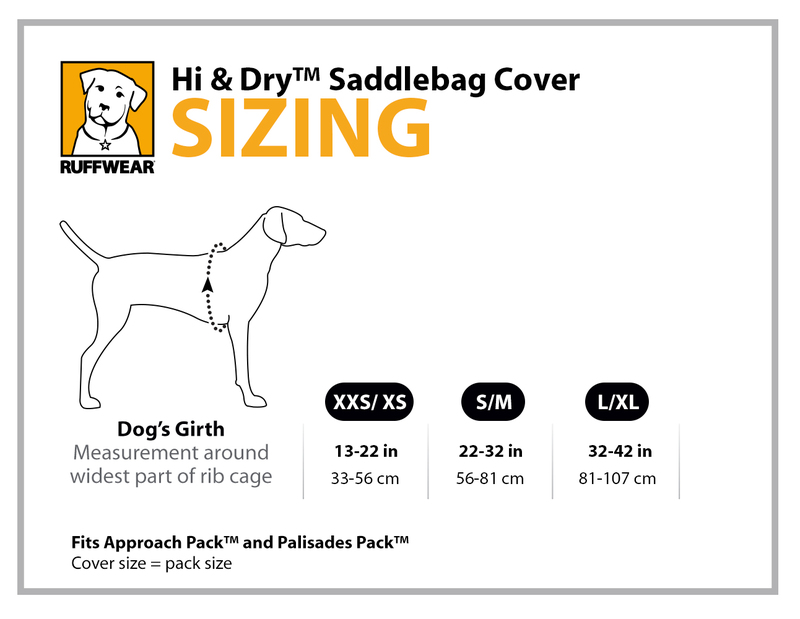 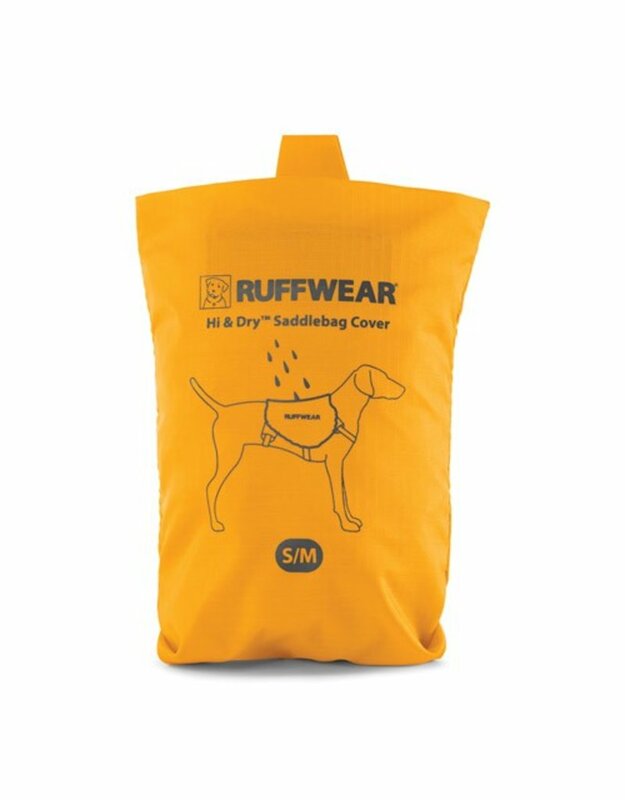 The Ruffwear Hi & Dry Saddlebag Cover is a waterproof, high-visibility rain cover that fits the Approach™, Palisades™ and Commuter™ Packs, protecting contents from the elements. 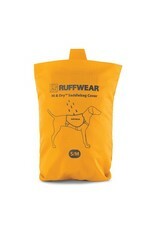 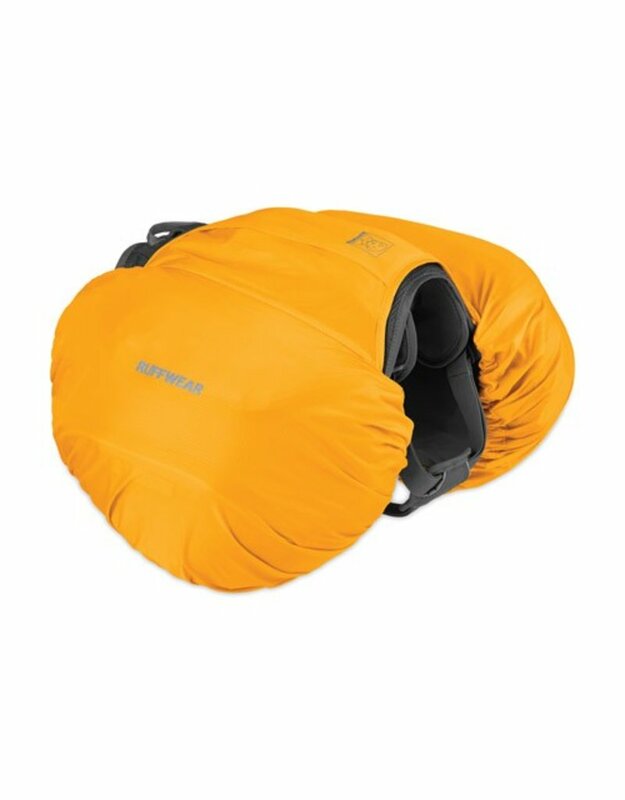 Lightweight, compact and durable, it packs down into an integrated storage bag. 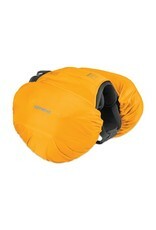 Designed to allow access to the pack's handle and leash attachment points.